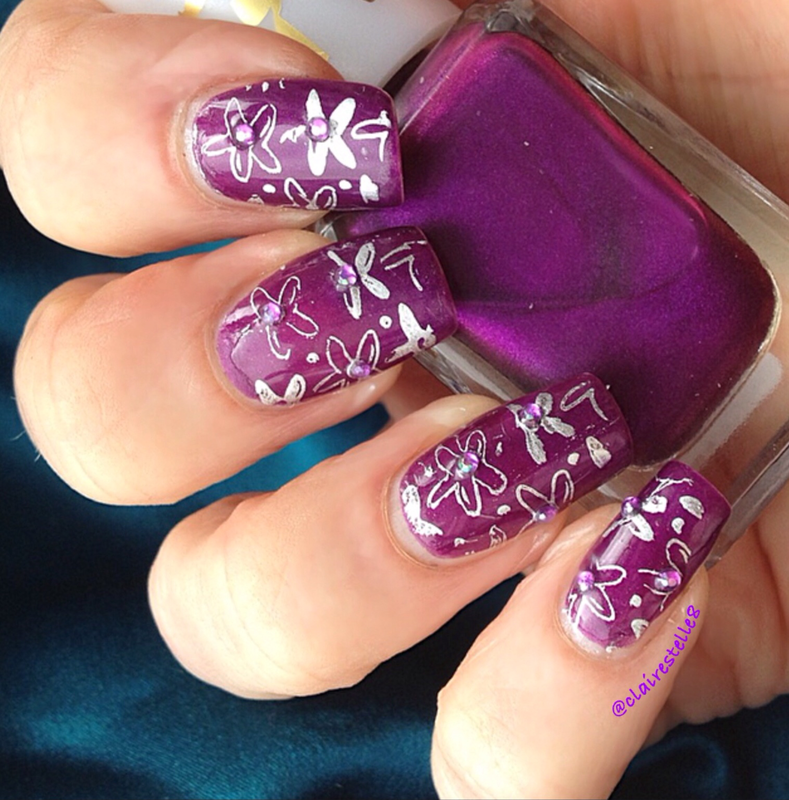 For this mani I used one of the new Barry M silks called Orchid. This is a beautiful deep purple shade leaning to cerise with a subtle shimmer through. It might be called silk but without top coat I would say it looks and feels more like velvet. 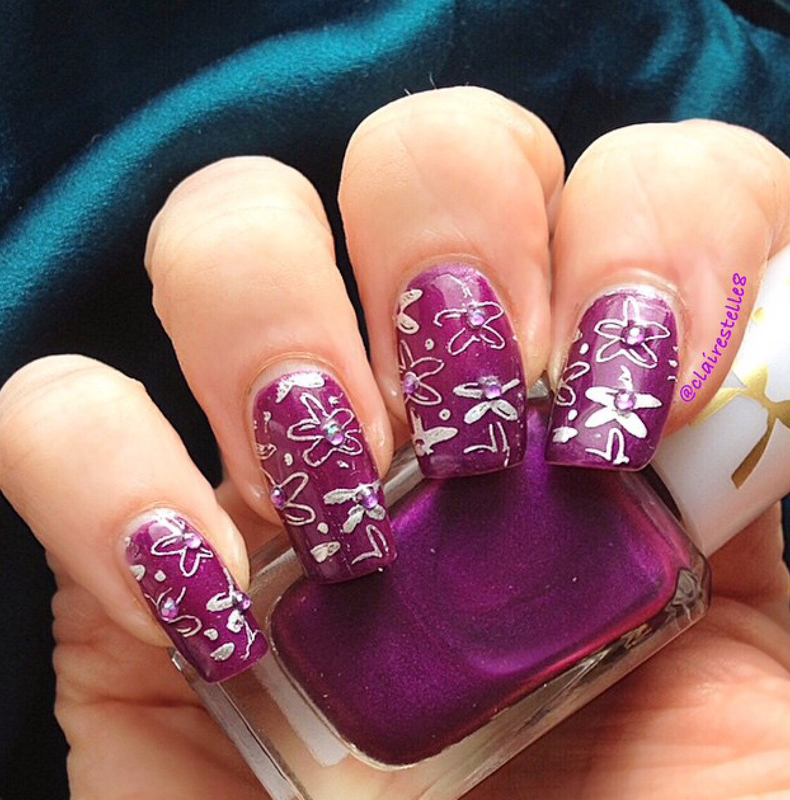 I stamped some orchid images from Moyou Pro Plate XL 23 with Nails Inc Silver Foil and added some diamantes and top coat for extra sparkle! It certainly takes a lot of practice with stamping and for every “success” I have about ten botched attempts, but I’m hoping it’s true that practice makes a bit better if not actually perfect! Nevertheless I was pretty pleased with the end result!